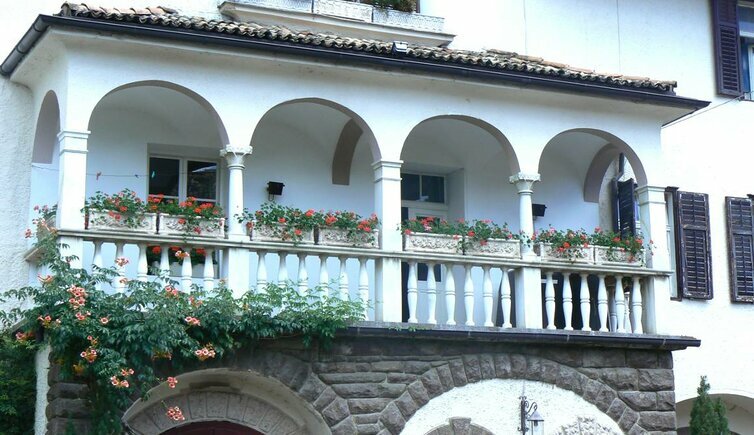 The architectural style in Oltradige, an area south-west of Bolzano, is influenced by southern master-builders. This style had its origins under the rule of Claudia de Medici in the 17th century and also under archduke Ferdinand Karl and other Tyrolean lords. At that time many aristocratics built their residences in this area. They chose builders from Venice and Tuscany, who realised them using typical Renaissance elements. These details add definitely charm to the buildings. The most important elements then were the sandstone, which frames the windows and the doors, the double-arch-windows with their elegant middle column, the stone stairs and the bays in many different varieties. Inside the manors and castles there is often a main hall, from which the other rooms are accessible. The Italian style gives the buildings a certain easiness and makes them very inviting. Also the surroundings benefit from the style elements. Look and see!